If a business offered you basically the same product with one costing $40 and the other costing less than $10...which one would you buy? Not sure about you, but I'm going to save some money! 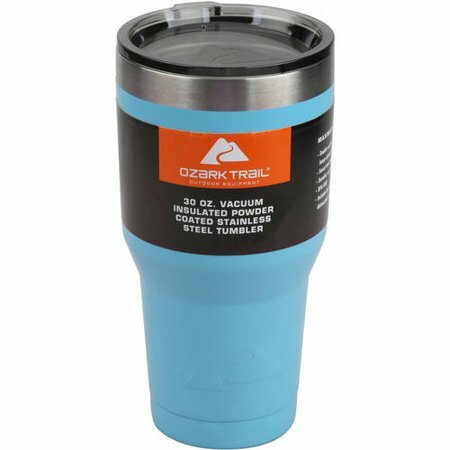 The Ozark Trail 30-oz, Double- Walled, Vacuum- Sealed Tumbler is every bit as functional as the "name brand" $40 option on the market. I purchased two of these online for $9.74 each and had them shipped site-to-store ( because my local store is always sold out....good indication, right?). My wife and I love these and have used them daily since they arrived. I haven't put hot liquid in them, but they do stay cold all day. 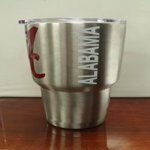 I would suggest personalizing your cup to make it easily recognizable at home or in public. I purchased a vehicle decal for my cup since they are made to be on vehicles out in the elements. I haven't had any issues with the decal peeling due to washing the cup. If you're willing to pay $40 for a cup...you might as well buy 4 of the Ozark Trail tumblers. You won't be disappointed! Love these cups! I have purchased 5 total and we have one Yeti. I tested the both at the same time with same amount of ice and there is no difference!! None!! We've taken them on cruises when we went to port and ice lasted us all day. We've taken them to the lake where we've been in the sun all day and ice last. Amazing. Get you one or two or three. I promise you won't be sorry! This tumbler works amazingly well! I took it tot the pool filled with ice and water....it still had lots of ice after 3 hours in the 90+ degree temps! My sister just texted saying it works almost too good keeping things hot as well. (She burned her tongue with her coffee when she went to take a drink of her coffee after it had been in her tumbler for awhile!). And what a great value compared to similar tumblers out there! I also saw online how to etch it at home to personalize it!!! Purchased four of these for family outings. 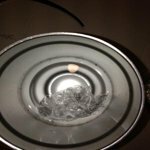 I wanted to do my own ice test like others I'd seen online. I filled one to the top with crushed ice and 51 hrs later there was still some ice left. Test condition of course were that of the climate control environment of my home. This item was great. 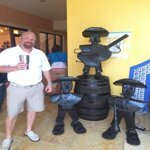 We took them to Mexico to keep our drinks cold. The ice stayed all day and even into the next day. Frozen drinks stayed frozen, almost so much that you couldn't drink it with a straw. 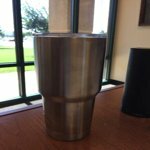 We also use them at the ballpark, we are there several hours per day over the weekend water always stays nice and cold with plenty of ice! 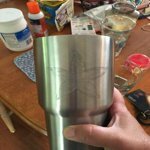 I Highly recommend the Ozark trail 30 oz tumbler!